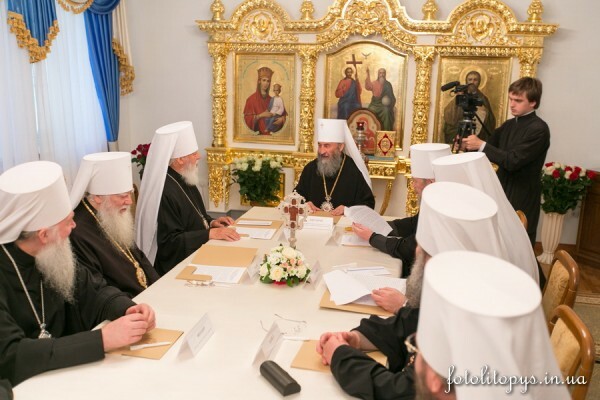 On 24 June 2015, a regular session of the Holy Synod of the Ukrainian Orthodox Church took place under the chairmanship of His Beatitude Metropolitan Onufry of Kiev and All Ukraine. An appeal to the people of Ukrainian on the occasion of the 1000th anniversary of the demise of St. Prince Vladimir Equal-to-the-Apostles was adopted. The Synod has blessed the opening of the Institute of Postgraduate Studies at the Kievan Theological Academy and has taken several decisions pertaining to the life of the Ukrainian Orthodox Church.